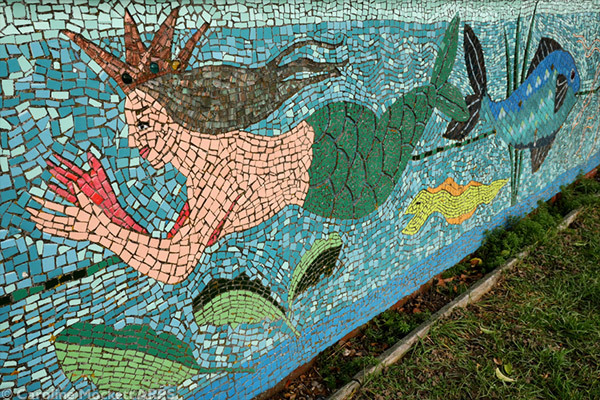 Notes: A new mosaic mural has appeared along the seafront in Deal since my last visit. We took a stroll in the biting cold wind today and I spotted this section of a rather chilly looking aquatic lady taking a dip. Perfect for Treasure Hunt Theme #45 – Mermaid.